HYPERTONIC DEHYDRATION with infantile diarrhea has long attracted interest in Buffalo because here the incidence seems to be higher than that reported in the literature from other areas in the USA and it occurs predominantly in winter. 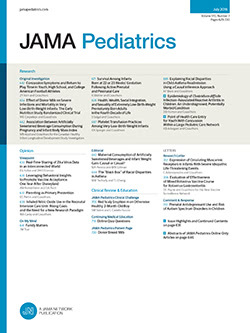 The sodium concentration in the serum of infants hospitalized with severe diarrhea is above 150 mEq/liter in more than one third of the cases. The high incidence of hypertonic dehydration in Buffalo and controversial therapeutic recommendations, some of which are based on theoretical considerations, aroused interest in planning a controlled study which would help to evaluate causes and therapy of this disturbance. Factors contributing to pathogenesis and pathophysiology of hypertonic dehydration were studied in individual patients.